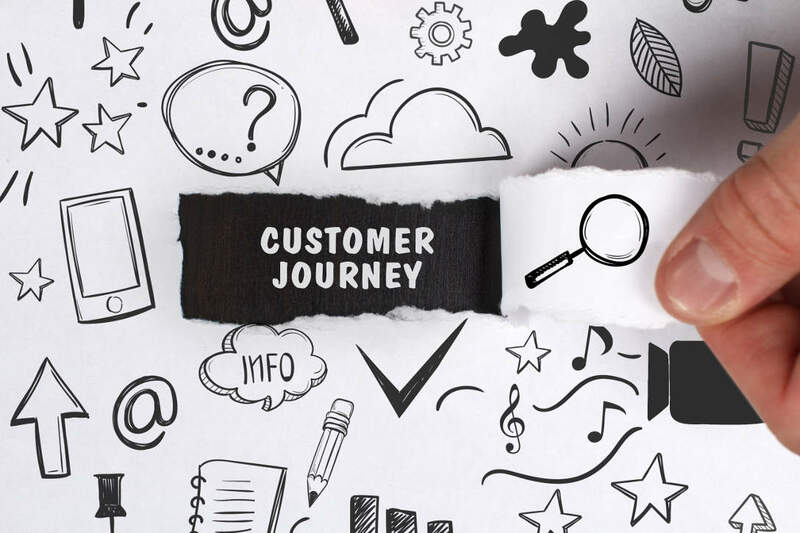 A customer journey map is a simple concept: it is a diagram that shows the steps customer(s) go through when interacting with a company, such as shopping online, visiting a retail store and other experiences. The need for journey maps become more important as the number of touchpoints increase and get complex. There are many ways to create journey maps. Though they may look visually different from one organization to another, there are consistent elements that need to be included regardless of design. Personas. Journey maps need to be created for specific customer segments. Maps account for how target audiences think and feel, their expectations, perceptions and more. Touchpoints. Journey maps identify a series of steps that customers go through as they proceed through lifecycle stages and channels. The different phases are often referenced as “LBGUPS,” which stands for Learn, Buy, Get, Use, Pay & Support. All of these affect customer decisions on whether to stay or leave for a competitive brand. Data. It is compiled from a variety of sources internally (i.e. website analytics) and externally (i.e. surveys). The quantitative and qualitative insights help bring the customer to life. Enables teams to understand their customers and create desired experiences in support of launches (products, services, websites, etc). Allows information to be organized in one place with the ability to identify actionable improvement opportunities. Helps cross-teams prioritize decisions together and focus resources on fixing customer pain points. Serves as a communication tool to keep everyone on the “same page.” Maps may also be useful for employee training. Helps leaders identify operational inefficiencies to ensure employees are spending time on activities that add value for customers. Want to learn about HOW to journey map and get a FREE TEMPLATE for your journey mapping sessions? Read more here. In the upcoming weeks, I will be writing more about this topic to help readers increase their CX skills and transform their organizations to be more customer-centric. Effective techniques and tools to leverage for journey mapping. Best practices in capturing customer feedback, including how, when, why. Successful ways to “close the loop” to ensure improvements are implemented. Previous Post What is Big Data and Why Should I Care? As someone who has practiced this type of investigation with varying terminology around usability investigation for years, it’s good to have standardized labels like “journey-mapping” and “touch-points” articulated. Too often in the past, I have seen narrow business cases written to solve a specific problem or another, without finding commonality in the data, and efficiencies in entire process by zooming out to see the big picture. By providing a standardized articulation of the discovery process, the industry has provided targets for quantifiable value for this type of investigation into solution design and UX. Of course, the true value of a Journey Map is in the efficincies it reveals, but it is a waste of everyone’s time unless you tie it up with clear, evidence-based recommendations linked to business goals.